That’s Deep | Eat. Go. Learn. Live. If you’re a pizza fiend like me, you’ve got try try Masa in Echo Park. 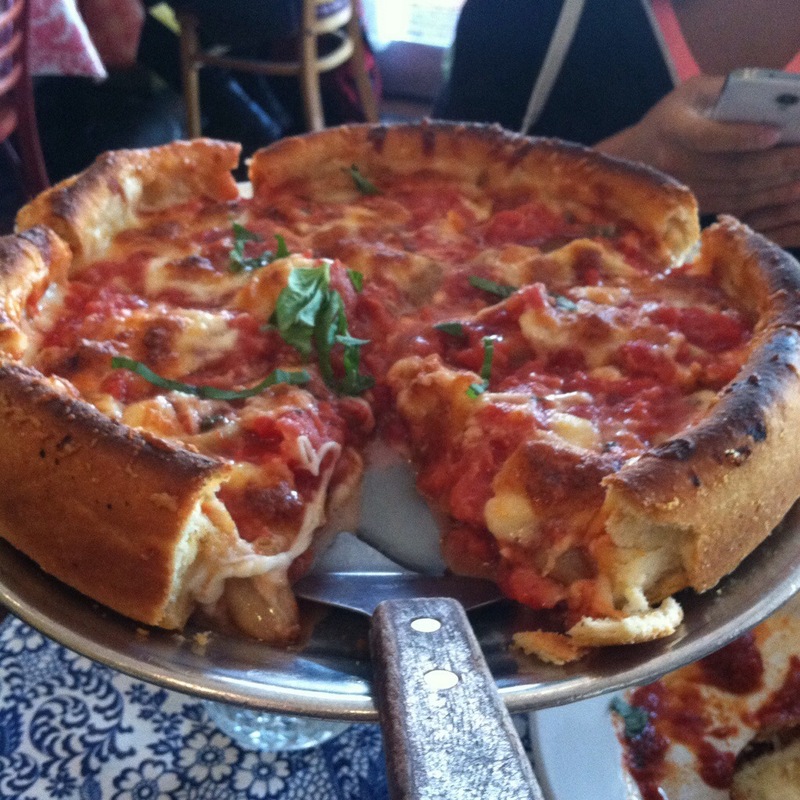 They are an Italian restaurant that specializes in Chicago style deep-dish pizzas. They use local, organic produce, and their dough is baked fresh daily too! They even have vegetarian and vegan deep dish options! I mean, can you say “winning”? I came here with some friends from work after we heard about how good this place was. It’s definitely worth a go. Just make sure you bring a friend or two. A regular size could feed about four people. A large can feed a small army! We couldn’t leave without having a sweet finish. 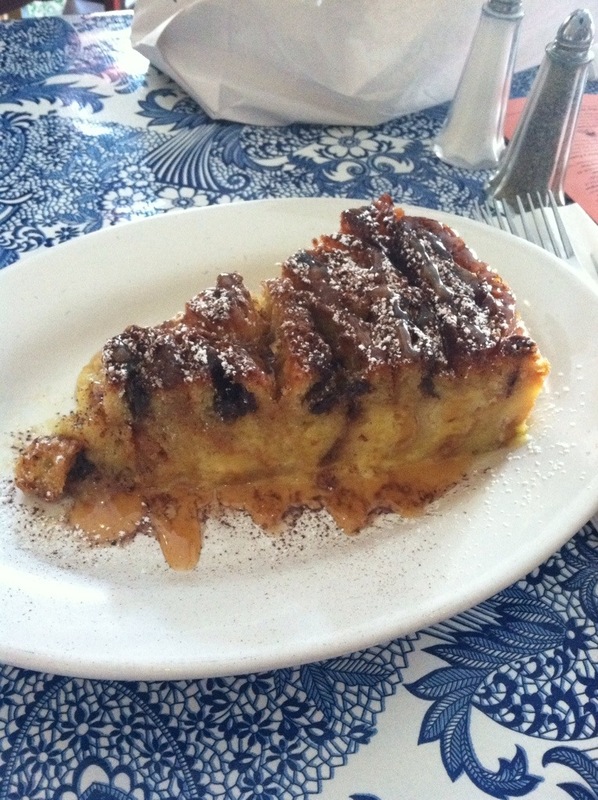 Especially when we found out that they have a croissant bread pudding. And not just any croissants. They use chocolate, almond, AND butter croissants! Just like their pizzas, one serving if the bread pudding was enough for the four of us. Although we were kinda full from pizza. I’m sure I could tackle one on my own if I hadn’t eaten before. And yes, I would sit and eat the entire thing. It was sooooo good! I used to live around the corner from here!! And you’re absolutely right. It’s SO delicious. I live in Oregon now and have had to start making my own. 🙂 Have you tried the tacos at that little taco stand further towards Hollywood on Sunset Tacos Delta? Best fish tacos I’ve ever had. Mmmm, I love fish tacos! I haven’t tried that place yet, but thanks for the rec! Happy eats to you in Oregon as well! Take advantage of that great salmon up there!